Every SEO Expert and Advertiser want to dominate their Competitor in search engine ranking. Keyword Research is an important role in SEO. But Choosing the Right keyword tool make your process is much easier and faster. We already know that “keywords are Queen for us and we follow them with our marketing techniques to attract the visitor on our website. Every Internet Marketer wants to make they’re content viral in search engine ranking and dominate their other competitors. If you are strongly good in SEO and you are serious about it, you must think before investing into keyword research tool instead of Google keyword planner. As I am not saying don’t use Google keyword planner. It is simple methodology, being into the battle you know how to dominate others and make your presence much better in search engine ranking either you are considering this article as an SEO or SEM Expert because this tool will help both . Every Internet marketer thinks before monetizing their affiliate site, blogging niche site or eCommerce product that need ethical keywords that can rank well in search engine ranking for the better result. Finding the best keyword can provide you excellently in online marketing either its is a role of SEO or SEM. As We already aware of the few things being into online marketing that content marketing and finding the competitor is the big aspect for you. Content Marketing: Writing an excellent Content can help your website in ranking , it does not mean in seo that writing a good content can rank your website.Yes, Google loves the Unique content but if you have the right choice of choosing the best keyword for your website then no one can dominate your ranking easily in the search engine. Finding Competitors: There are many sources to find your competitor but choosing the right step is the best way to make your business website or blog niche can grow you well in the market. Choose your keyword Wisely : As, if you move step by step while dominating others, Finding the best keyword opportunity for your niche will help you a lot for your business website, a blog or affiliate sales.So choose your keyword wisely while dominating other.There are Lot of tools available in the market but from my personal experience, i will recommend you two best tools. Google keyword Planner : This is free keyword finder tool which helps you a lot to fetch the keywords according to your requirement , It is the most powerful SEO tool to find the good keyword opportunity for your website niche.You can easily find the keywords from google keyword planner tool . The Magic only begins when you type into the search box. 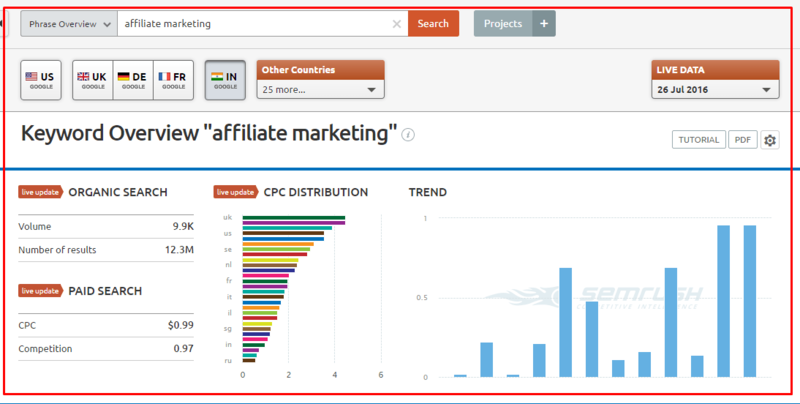 what is semrush: This tool is amazingly the best keyword research tool and will help you in dominating your competitor. For, me it is “swiss army knife” which helped a lot in my previous work , which I will share further on this blog , that how this tool helped me the lot while dominating others.So, let come to the point SEMrush is the only tool from where your can check your competitor’s various things. A Big thing is you can easily check the Live PPC ads and display ads from this tool, that is the reason I recommend you personally this tool for your better keyword research planning. Getting started With SEMRush Keyword Tool: The most ethical way to getting above information, will better to go ahead and sign up with SEMrush tool . This tool was Developed by the team SEOquake. As you can see in both the images how this tool can help the Internet marketers to grow their business easily. Finding Better Keyword Opportunity : The SEMRush tool can give you better keyword opportunity as compared from the organic data and also provide you Long tail pro keywords, which helps a lot in search engine ranking either in PPC. 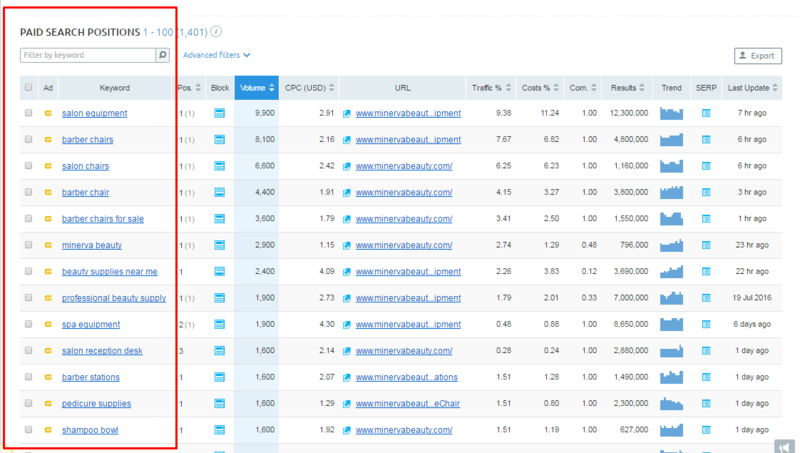 You can also track position tracking of your keywords in the SERP or you competitor keyword. 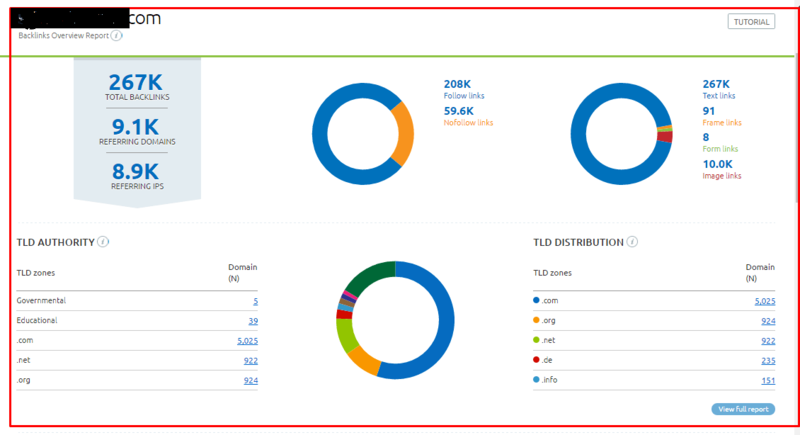 Backlink Analysis : You can easily analyze your competitor backlinks. Yes , there are many more tools available in the market, But if you are using this you can easily check their competitor links core according to SERP . How this Tool can help the Advertiser : While come to the paid marketing this sem tool helps a lot for those advertisers who run their campaigns on Google AdWords advertisement program ( Text Ads and Display ads). Every advertiser who spends lots of money on PPC advertisement program wants Low PPC cost and good ROI. So, this tool helps a lot while tracking live paid campaigns of other competitor’s ads. 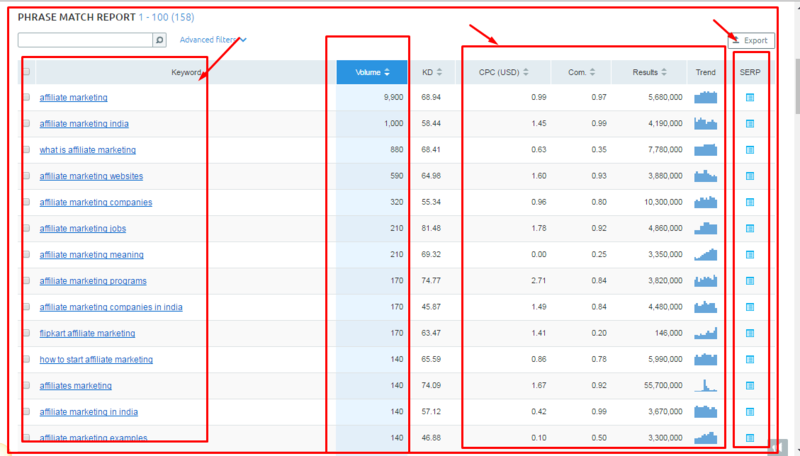 You can easily analyze their keyword’s on which they are showing ads on google and how much CPC is. 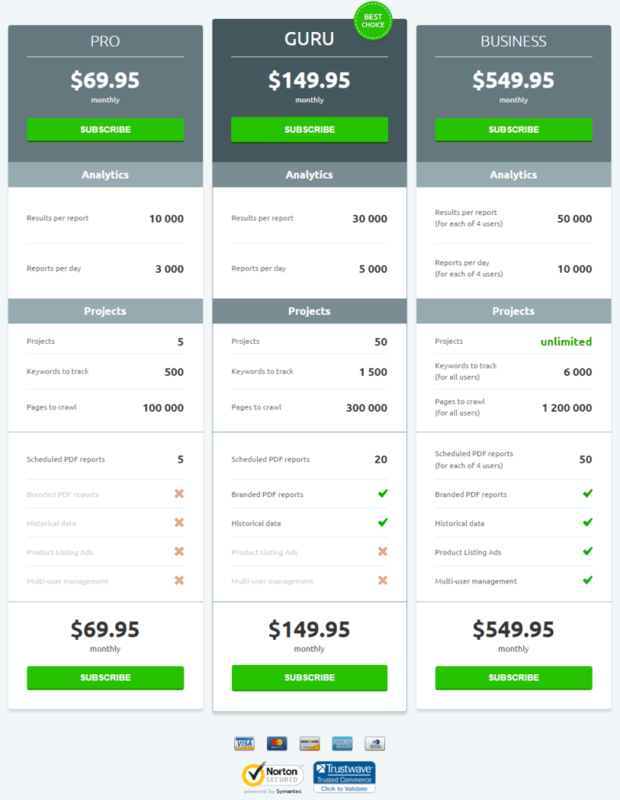 SEMrush Membership Price: This tool is not free , yes the tool is costly but choosing the right tool can give you good ROI if you choose it wisely. SO SEMrush tool has three membership plans. which comes Annually and monthly you can choose any package according to your pocket. 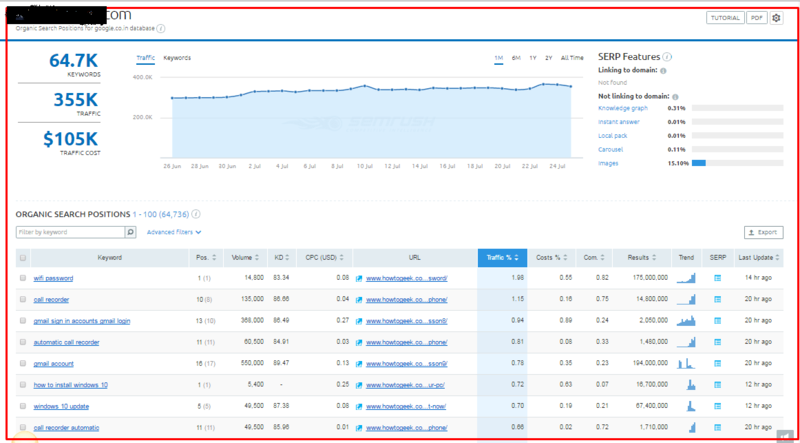 Final Verdict : SEMRush is review by many internet marketers & advertiser. So, you can use this sem tool for your marketing purpose & see how magic happen ‘s with you. 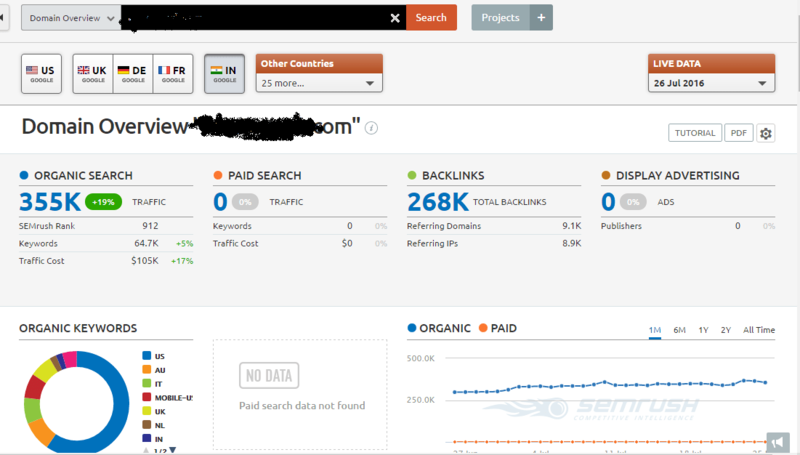 If you are looking for most profitable keywords you can use SEMRush keyword research tool for the better result. As you can see all features comes under one tool. Once you start using this tool you will see “The magic begins”. Amandeep kadd Sareen has smart insights on digital marketing, advising on more effective eCommerce approaches. He worked for many Digital Marketing firms. He is a passionate blogger, loves to travel, enjoys different continental food and is a fashion lover. He does have rich experience in SEO, PPC, affiliate marketing, Niche Blogging and content optimization.